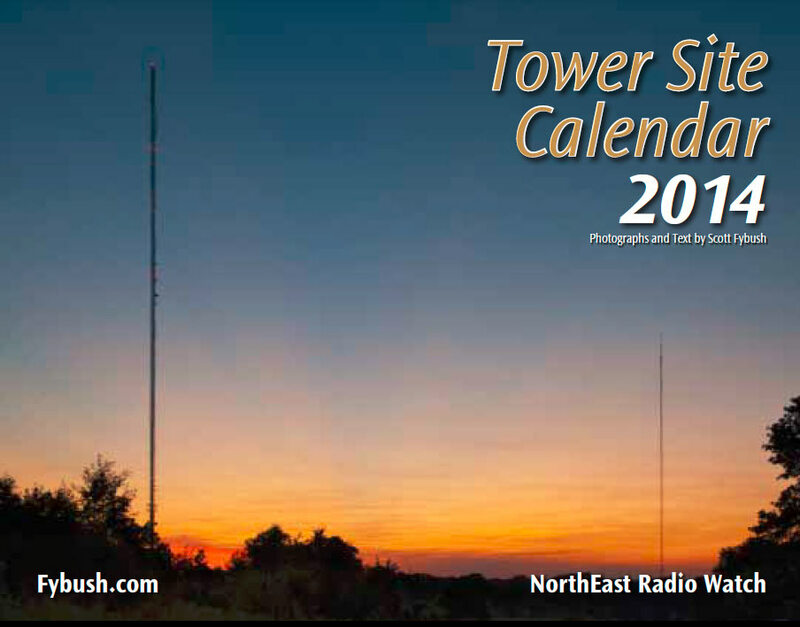 In this week’s issue… Buffalo’s WWKB drops talk for sports – Sheppard changes stations in Boston – New Jersey AM sold – Translator apps include NYC, Philly signals – Ontario community FMs seek signal boost – Tower Site Calendar 2014 goes on sale! AM 1520 in Buffalo, NEW YORK once proudly boasted that it was “one of America’s two great radio stations,” back in the days when it was top-40 WKBW and its lineup of stellar talent burned a big hole in the ionosphere over a huge chunk of the East every night. Today, as WWKB, it’s a pale shadow of its former self – but it still made headlines last week when the Entercom-owned 50,000-watter flipped formats from progressive talk to ESPN sports. The explanation lies in the strange role WWKB now plays in the Entercom cluster in Buffalo, where it’s little more than a flanker to the two big AMs in the group, news-talk WBEN (930) and sports WGR (550). By holding on to 1520, the only other viable full-market AM signal in Buffalo, Entercom has long prevented competitors from encroaching on its valuable spoken-word turf. For years, that’s meant keeping talk competition away from WBEN, but with that job accomplished, Entercom now wants to throw an additional punch against Cumulus’ WHLD (1270 Niagara Falls), which has been challenging WGR’s dominance with its own sports format driven mainly by CBS Sports Radio. By adding a full-time ESPN Radio outlet to the ESPN product that already fills non-local slots on WGR, Entercom provides some protection to its big gun in town. While there won’t be any local weekday talk on “ESPN 1520,” WWKB will continue to carry Buffalo Bisons minor-league baseball, as it’s been doing for years; it will also simulcast Sabres games with WGR, giving the Sabres a nice clear-channel AM voice for their night games. Over in Syracuse, the AHL Syracuse Crunch change radio outlets this year: they’re moving from Cumulus’ WSKO (1260) to its sports rival, Galaxy’s ESPN outlets WTLA (1200 North Syracuse)/WSGO (1440 Oswego) and their FM translaors. A simulcast change that slipped past us amidst our summer travels: Ithaca Community Radio has broken the simulcast between its two Schuyler County-based full-power FM signals. 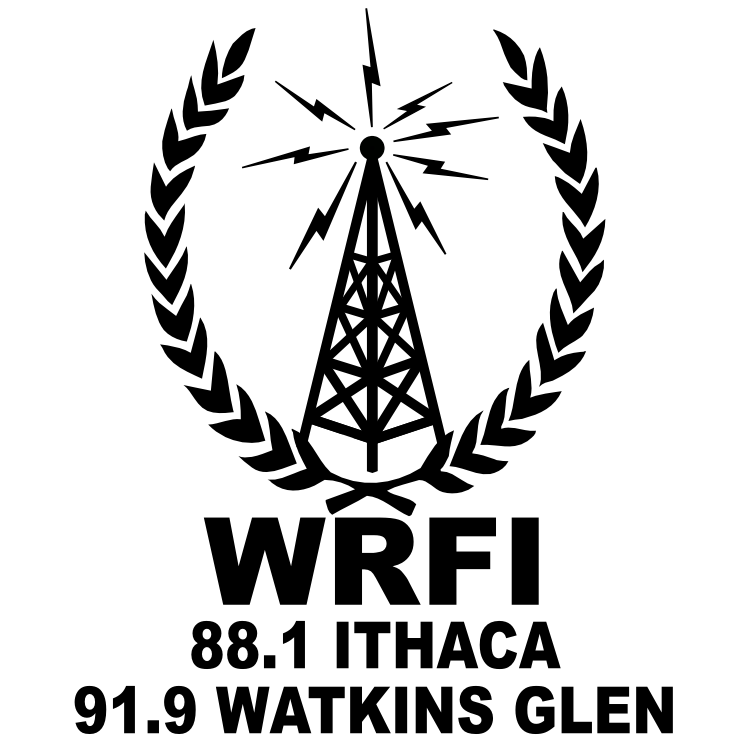 WRFI (91.9 Watkins Glen) continues as the nominal flagship of ICR’s Ithaca community-based programming, feeding the translator (W201CB 88.1 Lansing) that actually reaches Ithaca; a few miles to the southeast, WINO (89.9 Odessa) has dropped the WRFI programming as of July 12 and is now simulcasting the Binghamton-based NPR fare from WSKG (89.3), providing listeners around Watkins Glen with a somewhat stronger WSKG signal than they’ve had until now by way of Ithaca’s WSQG (90.9) and a small Watkins Glen translator, also on 90.9. It’s part of a bigger pattern of cooperation between WSKG and other area public broadcasters: WSQG shares its tower northeast of Ithaca with WITH (90.1), the AAA station operated by Rochester’s WXXI – and before WRFI and WINO were on the air, ICR was feeding its Ithaca translator by supplying programing that aired on WSQG’s HD2. Ithaca is also the latest radio market to be on Arcadia Publishing’s radar when it comes to an “Images of America” history book. The “Ithaca Radio” book is being written by Ithaca College graduate Peter King and his brother; Peter, of course, parlayed his early years in Ithaca and Rochester radio into a very successful career as a Florida-based anchor/reporter for CBS Radio News. The Kings are looking for vintage Ithaca radio photos for the book, and if you have any, they’d love to hear from you at ithacaradioproject@gmail.com. *TV changes in Elmira: ABC/CBS affiliate WENY-TV (Channel 36) is sporting a new logo and new news graphics, while across town, NBC affiliate WETM (Channel 18) is looking for a new news director after the departure of Scott Levy, who’d been there less than a year. *ESPN Radio’s New York flagship, WEPN-FM (98.7), has long had a somewhat unusual morning lineup: because it carries the “Mike and Mike” national morning show from 6-9 weekdays, its local morning offering for the last few years has aired in the very early hours from 4 (and later 3 AM) until 6. Local update host Jared Max eased into the role of early-morning host and made “Maxed Out” his own, but that ended last week with Max’s departure from ESPN for an as-yet-unannounced new gig. Robin Lundberg is now hosting those early-morning hours on 98.7. In the Hudson Valley, WPDH (101.5 Poughkeepsie) has turned to PD Andrew Boris to replace its late morning man, Mark Cooper. Boris moved from middays to mornings (alongside Robyn Taylor) last week, pulling middayer Eric Hopkins over from Cumulus (soon to be Townsquare) sister station WRRV (92.7 Middletown)/WRRB (96.9 Poughkeepsie) and shifting WRRV/WRRB Chris Morello part-timer into middays there. And congratulations to a colleague just down the Thruway on a new arrival – on Sunday night, CNYRadio.com editor Peter Naughton became the proud new dad of baby James Peter Naughton, 8 pounds, 21.5 inches. As we approach the ten-year mark on our own dual “radio columnist/parent of small children” role in just a few days, we send Peter our very best wishes…and best of luck! *Brian Larson’s Northeast Gospel Broadcasting is selling one of its FM signals in VERMONT. WNGF (89.9 Swanton) will become the seventh full-power link in Christian Ministries’ statewide chain of religious outlets, based up in the Burlington area at WGLY (91.5 Bolton). Christian Ministries will pay $125,000 for the WNGF license, which will get new call letters once the sale closes. The radio community continues to mourn WEQX (102.7 Manchester) founder and owner Brooks Brown, who died August 30, and we’re particularly touched by his burial instructions: at a memorial service held on Saturday, Brown’s ashes were scattered at the WEQX tower site on Mount Equinox that he’d built and maintained for three decades. Rhode Island Public Radio is still recovering from a roof leak at Coventry High School in late August that drenched the facilities of its mid-state relay transmitter, WCVY (91.5). RIPR engineering guru Aaron Read was able to dry out most of the WCVY gear and resuscitate the transmitter after the leaky roof dissolved the ceiling times above the station’s studio and transmitter, but the long-term effects of the icky sludge aren’t good, and WCVY now expects to have to replace most of the water-damaged equipment. When we sit down to write the annual “NERW Bookshelf” column for the holiday season, one of the volumes we’re looking forward to reviewing is a new book by longtime WBCN (104.1 Boston) jock Carter Alan. “Radio Free Boston” has its official launch next Monday (Sept. 16) at the only logical place to do it: the old WBCN studio location at 1265 Boylston Street, which is now Jerry Remy’s sports bar. 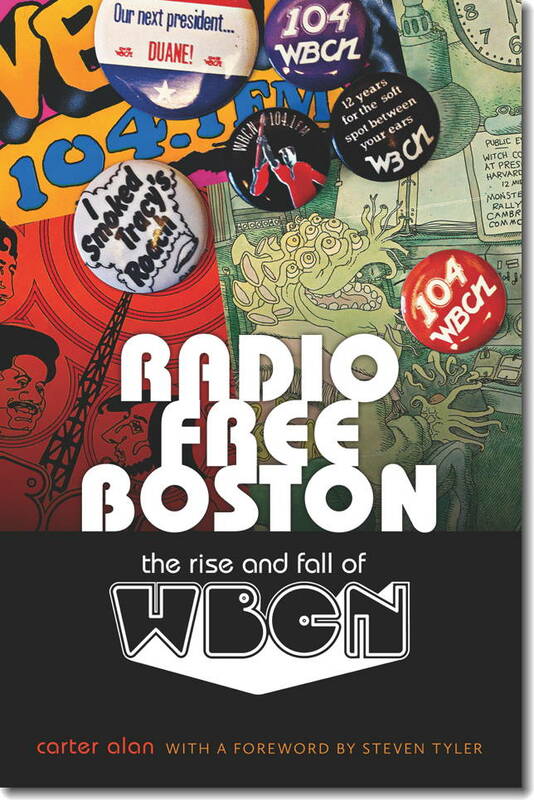 Alan will be signing copies of the new book, and WBCN PD Sam Kopper will be on hand with a live “Free-Form WBCN” broadcast on WBCN.com and WZLX (100.7-HD3). Boston’s Fox outlet, WFXT (Channel 25), is joining most of its fellow Fox-owned stations around the country with an expanded early-evening newscast. In addition to its existing 6 PM show, WFXT will add an hour of news from 5-6 PM on weekdays beginning October 7, anchored by Maria Stephanos and Mark Ockerbloom. *Our CONNECTICUT news is all about weekend ethnic radio, starting with the end of one of the longest-running specialty shows in the country. “The Polish Eagles Show” started on WATR (1320 Waterbury) right when the station itself debuted way back in 1934, and it’s been a family business all along under Victor Zembruski, then his wife Sophie, and since 2008 under the Zembruskis’ daughter, Laurie. 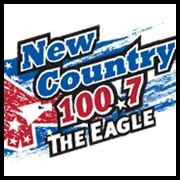 She did her final “Polish Eagles Show” a week ago, and the polka slot on WATR now belongs to the syndicated Jimmy Sturr show. John LaBarca, whose “Italian House Party” was long a fixture on WICC (600 Bridgeport), is changing stations again. LaBarca’s show moved to WSTC (1400 Stamford)/WNLK (1350 Norwalk) and then to a brief run on WDJZ (1530 Bridgeport), but now he’s jumped Long Island Sound and is airing Sundays from noon until 3 on WHLI (1100 Hempstead), a signal easily heard on the Connecticut shoreline. *On TV, Hartford Fox affiliate WTIC-TV (Channel 61) is pushing its early-morning news even earlier. Starting today, the morning news there will kick off at 4 AM, and will continue to run until 10. *New calls in MAINE: Blueberry Broadcasting has flipped WIGY (97.5 Madison) to WQSK. At last account, 97.5 was part of a CBS Sports Radio simulcast with WAEI (104.7 Belfast) in the Bangor market; the WIGY calls had come there from a long run on the mid-coast at what’s now religious WBCI (105.9 Bath). *In northeast PENNSYLVANIA, we note the retirement of Father Tom Carten and his “Radio Home Visitor” show on King’s College station WRKC (88.5 Wilkes-Barre). Father Tom started the show 39 years ago, providing readings from local newspapers (including the Wilkes-Barre Citizens’ Voice, for which he wrote under a pseudonym) to blind and sight-impaired listeners around the valley. In a Voice column last week, Father Tom wrote that his health has been failing and he’s preparing to move into assisted living, making it impossible to continue to do the show or the column. We wish him all the best in his retirement, and we know he’ll be missed after his long run at WRKC. *The death of Don Wade made big headlines in Chicago, where he and wife Roma were longtime morning fixtures on WLS (890) through most of its existence as a talk station – but Wade had some NERW-land ties, too, having worked at WIBG (990) in Philadelphia in the early 1970s alongside his brother, “Long John” Wade. Don Wade, who’d changed the spelling of the family name from “Wehde,” also spent some time up and down the dial working in Buffalo and Hartford before settling down in the midwest. Wade died Friday, at age 72, after a long fight with cancer. *Here’s the final batch of construction permit applications from the 2003 FCC translator window, including some potential signals in very big markets that could be granted as the FCC sorts through the “singleton” applications and those headed for auction: 106.3 Lehigh Township and 106.5 Kutztown (WJCS 89.3 Allentown), by Beacon Broadcasting; 95.1 Millbourne PA (WPEB 88.1 Philadelphia), by Denise Choi; 97.1 Colmar PA and 104.9 Harleysville PA (WBYO 88.9 Sellersville), by Four Rivers Community Broadcasting; 92.1 Exton PA (moved from 92.9, with a stop-off along the application chain at the unusable 92.5 channel, relaying WRTI 90.1 Philadelphia), 98.9 Scotland PA (WJAZ 91.7 Summerdale), 106.3 Lancaster (moved from 106.1 Columbia, relaying WRTL 90.7 Ephrata) and 99.1 Cape May Court House NJ (WRTQ 91.3 Ocean City), by Temple University; 104.7 Sayre PA (WPAL 91.7 New Albany PA), by Smith and Fitzgerald Partnership; 98.3 Brooklyn NY, 101.5 Manhattan NY and 101.5 Queens NY (both WVIP 93.5 New Rochelle), by River Vale Media Foundation; 105.9 Edison NJ, 100.7 Roosevelt NJ, 107.7 Ewansville NJ, 102.1 Bridgeport CT, (KHBM 90.7 Hardin TX, a silent station that wouldn’t be eligible to be relayed on a distant commercial-band translator), all by Best Media; 97.5 Jersey City NJ (moved from West Orange) and 105.5 Alpine NJ (both relaying WFUV 90.7 New York), by Ted Schober; 94.1 (moved from 93.9) Hinsdale NY (WXXE 90.5 Fenner), by Syracuse Community Radio; 102.3 Ocean City NJ (moved from 101.9, relaying WWFP 90.5 Brigantine), by CSN International; 102.1 Milbrook CT (WKCI 101.3 Hamden), by Clear Channel; 97.1 Waterbury VT (moved from 97.3 Montpelier), 102.9 Burlington VT (moved from 102.5), 101.3 Woodstock VT, 93.1 Hanover NH, 97.9 Barre VT, all Vermont Public Radio; 97.5 Augusta ME (WYFP 91.9 Portland), by Bible Broadcasting Network; 105.5 Portland ME (WMGX 93.1 Portland), by Radio Assist Ministry. *There’s an airstaff now at CANADA‘s newest big-market station. Central Ontario Broadcasting’s “Indie 88” (CIND 88.1) introduced its full lineup to Toronto listeners last week, starting with the “Indie88 Mornings with Brian, Matt and Candice,” hosted by Brian Bailey, Candice Knihnitski and musician Matt Hart. Music director Raina Douris will be heard weekday afternoons, Carlin and LoriAnn will handle middays and weekends, and Dave “Bookie” Bookman will host a Sunday night show. Northwest of Toronto, Vista Radio is hoping to do what previous owner Haliburton couldn’t: upgrade the signal of small community station CJFB (105.5 Bolton). 50-watt CJFB currently operates in tandem with another nearby community station, 50-watt CFGM (102.7 Caledon); if Vista’s application is approved, it would shut down CFGM and move CJFB to 102.7, where it would cover both Bolton and Caledon with a new, much larger 17 kW max/5 kw average DA/-18.5 m signal. Over in Kingston, Shauna Cunningham is departing the morning show on CFLY (98.3) and moving to TV, where she’ll become 11 PM anchor on Corus-owned CBC affiliate CKWS-TV (Channel 11). *Even as voters in Quebec were giving their nod to the separatist party that wants to pull the province free of English-speaking CANADA, complete with a platform calling for control of broadcasting in Quebec to shift from the CRTC to the provincial level. one Montreal TV broadcaster is asking the CRTC for permission to switch from multilingual television to full-time English-language programming. When Rogers announced back in May that it planned to buy CJNT (Channel 62, aka “Metro 14″) from Channel Zero, the big national broadcaster was clear about its intent to make CJNT the Quebec home for its CityTV service, which currently has a not-quite-national reach stretching from Vancouver to Ontario but no further east. Even before the sale went through, Rogers struck an affiliation deal with Channel Zero to begin branding CJNT as “CityTV” and to carry some of City’s programming – but it was stymied by the longstanding restriction on the CJNT license designating it as a multicultural station, with 75% of its prime-time programming required to be in languages other than English or French. Rogers is supplying some of that programming, too, from its Toronto-based “OMNI” multicultural network. *Before the CRTC can get to the Rogers/CJNT application, it will sit down beginning today to wrestle with another contentious issue involving Quebec broadcasting and language. Bell’s acquisition of Astral, Quebec’s dominant radio group, was already a big deal even before Bell proposed converting its existing Montreal station, CKGM (newly moved from 990 to 690), from English to French in order to remain below the ownership cap once it adds the Astral stations. Set against the backdrop of Quebec’s latest political turmoil and the sense of many Anglophones in Quebec that they’re being marginalized, the planned transition from English “TSN Radio” to French “Radio RDS” drew so much public input that the CRTC put an unprecedented special link on the front page of its website to direct listeners to information about intervening in the hearing. If Quebec’s winning political party had its way, of course, the CRTC wouldn’t be holding that hearing: the Parti Quebecois platform included a proposal to bring control of radio and television under the Quebec government instead of the federal government. It’s unlikely the proposal will go anywhere now that the PQ failed to win a majority in Quebec’s National Assembly (it will instead lead a minority government), but we haven’t heard the last of the idea, either. *The other major English-language commercial station in Montreal was also in the news last week. Cogeco’s CKBE (92.5 the Beat) applied to boost its power from 44 kW to 100 kW after RF radiation limitations at the Mont-Royal community transmitter site were loosened, but its application came at the same time as Evanov (filing as Dufferin Communications) asked the CRTC for a 300-watt community station on 92.5 in Clarence-Rockland, Ontario, east of Ottawa at the fringe of the Montreal signal. The CRTC says the two applications are mutually exclusive, and has now designated both of them for hearings. In the Quebec City market, it’s the end of the line for CIMI (103.7 Charlesbourg); the community station has been silent since 2008 amidst financial and management struggles, and while it came to the CRTC with a plan to get back on the air, the agency says it’s ” deeply dissatisfied with the licensee’s future plans” and unsatisfied with CIMI’s past record of non-compliance. As a result, it’s denying CIMI’s application for a license renewal. * Just across the border in northern NEW YORK, there are two format flips to tell you about, including one that has more of an effect on Canada than the U.S.
A former Watertown-market sister station of WLYK has also flipped, and more dramatically: as of Tuesday, WEFX (100.7 Henderson) has ditched classic rock (“100.7 the Fox”) in favor of country as “100.7 the Eagle.” It’s one of two country signals in Community Broadcasters’ portfolio; the other is “Wolf” WLFK (95.3 Gouverneur), up north of Watertown. *When Jim Santella retires from the Buffalo airwaves after his December 1 blues show on WBFO (88.7), it will be the end of a magnificent era in Buffalo FM history that began in 1969 at the pioneering freeform station in town, WYSL-FM (103.3). After walking off the air in 1972 in a conflict over the station’s playlist, Santella went on to work at WWOL (1120/104.1) before returning to 103.3, by then WPHD, then moving on to WGRQ (97 Rock), WZIR (98.5) and WUWU (107.7) before shifting from rock to blues and joining WBFO in 1997. Santella was inducted into the Buffalo Broadcasters Hall of Fame in 2005, and he was at the center of efforts to keep blues on the WBFO schedule when the station was sold to rival public broadcaster WNED last year. 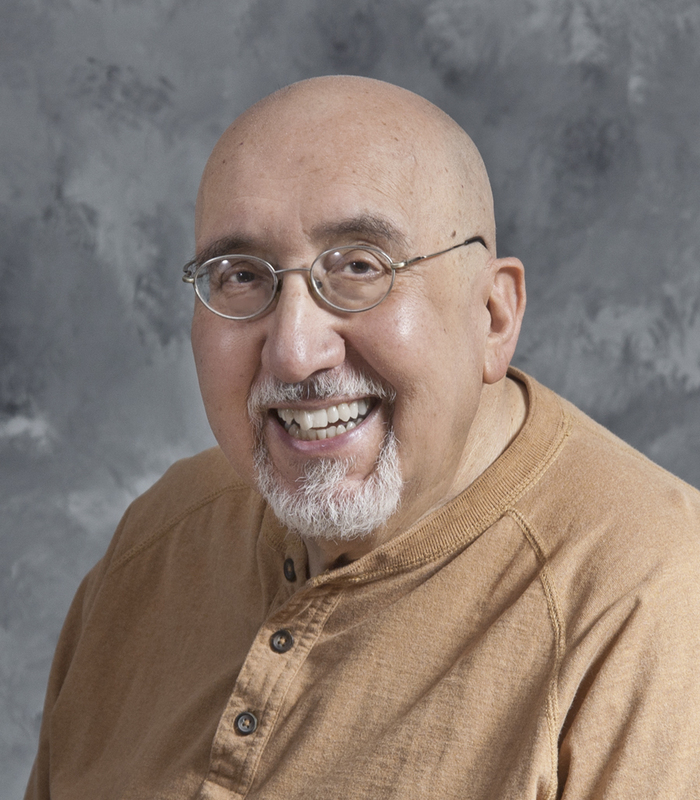 WBFO says the Saturday blues show, which moved from afternoons to evenings when WNED took over, will continue with a new host after Santella departs – and Santella says his next steps will include writing his autobiography. TV People on the Move in Syracuse: on the heels of Jackie Robinson’s emotional 90-minute farewell from WSTM (Channel 3) Tuesday night came word that reporter Keith Kobland was much more quietly departing from WSYR-TV (Channel 9), where he’d spent the last three years on the heels of two decades reporting for WTVH (Channel 5). Kobland’s new job is as a media manager at Syracuse University. Radio People on the Move: after more than a decade doing media relations at his grad-school alma mater, the Rochester Institute of Technology, Mike Saffran has moved down to SUNY Geneseo, his undergraduate alma mater. Saffran, who worked in Rochester radio at WKLX ,WBBF-FM and WRMM, is Geneseo’s new lecturer in communication and faculty director of WGSU (89.3 Geneseo). Radio Towers on the Move: Clear Channel’s top-40 WKGS (106.7 Irondequoit) has a slightly new nickname – “Kiss 106.7″ instead of “106.7 Kiss FM” – and a new transmitter site. The class A signal has completed its relocation from the Seneca Towers apartment building on the north side of the city to the centrally-located Pinnacle Hill tower farm, boosting power a bit from 3.5 kW/266′ to 4.4 kW DA/328”. The move, which was made possible when Clear Channel moved what’s now WSYR-FM (106.9) closer to Syracuse two years ago, puts Kiss on the very same tower as its archrival, Entercom’s WPXY-FM (97.9). *In MASSACHUSETTS, Jack Nash has died. Born John Naszcyniek Jr., Nash was a jock on stations such as WMLO (1570 Beverly), and had more recently been doing sales for WCAP (980 Lowell). He died last Wednesday at his home in Lowell, at age 59. *It’s been a rough year so far for the smooth jazz format, with prominent defections in large markets such as New York and Washington, DC. Last Friday, the trend came to eastern PENNSYLVANIA, as Greater Media pulled the plug on smooth jazz at WJJZ (97.5 Burlington NJ).This was the second incarnation of the format in the Philadelphia market – back in August 2006, Clear Channel changed formats at the original smooth jazz WJJZ (106.1 Philadelphia, now WISX), and in November, Greater Media picked up the format and the calls on 97.5, which was in the process of moving into the market from its longtime home in Trenton, N.J.
As the format faded out at 6 PM Friday (Sept. 5), it was replaced by a weekend of stunting that promised something “new” and “now” for the Philadelphia market. “Now” arrived at 9 o’clock Monday morning, when WJJZ exited its stunt with the now-ubiqitous “Don’t Stop Believing,” then launched into a brief, selective recap of the history of Philadelphia radio before announcing a “new” approach to adult contemporary radio under the moniker “Now 97.5,” with a new website at nowismusic.com. PD Michael Tozzi (who came to 97.5 from the original WJJZ 106.1) is out, as are the rest of the WJJZ airstaff. *In Albany, NEW YORK, Jeff Lyons has returned to WAJZ (96.3 Voorheesville) to co-host the morning show with Big Ray and serve as music director. Lyons left Albany Broadcasting in 2005 to work at Cumulus’ cluster down in Tallahassee, Florida. Over at Regent’s Albany cluster, Glen Stacey has exited the PD/afternoon drive chair at WBZZ (105.7 Malta) in a move being blamed on budget cuts. Jake Thomas, who does afternoons at sister WGNA (107.7 Albany), will take on Stacey’s duties. In Syracuse, Ty is departing Galaxy Communications, where she was acting PD at the “K-Rock” simulcast (WKRL 100.9 North Syracuse/WKRH 106.5 Minetto/WKLL 94.9 Frankfort). The upstate native is heading to Baltimore, where she’ll start a week from today as APD/music director and middays at Clear Channel’s WCHH (104.3). It looks as though Dave Radigan’s WEBO (1330 Owego) will be the next member of the “FM translators for AM stations” club – he’s paying $5,000 to buy W300BV (107.9 Waverly) from Daniel Peltz. In another translator sale, Bud Williamson’s Digital Radio Broadcasting is paying Clear Channel $4,000 for W255BX (98.9 Hudson), which currently relays WCTW (98.5 Catskill). We spent much of the weekend watching the vintage race cars circle the track at Watkins Glen, and checking out some changes on the region’s radio dial, too. As we’ve noted previously, this is actually all about WFLR-FM’s construction permit to move to 95.5 in Odessa, which will make it an Ithaca-market station; the country format for Dundee and Penn Yan will live on at 1570 and its new FM translator, W245BL (96.9 Dundee). For now, there’s a three-way simulcast on 1570, 95.9 and 96.9. Watkins Glen’s own station, WRCE (1490), made for interesting listening over the weekend. While it’s nominally a simulcast of Backyard Broadcasting’s country “Pig” WPGI (100.9 Horseheads), we heard at least three other program streams on the AM signal – a talk simulcast from Backyard’s WWLZ (820 Horseheads), an IndyCar race from California and many hours of simulcasts of the track announcements from the Glen. There’s another signal coming to Watkins Glen, too – Ithaca Community Broadcasting has been granted a construction permit for 91.9 there, with 1.3 kW DA/108′. *As Vox Radio Group settles in at the former Clear Channel stations in VERMONT, it’s making some format tweaks. Gone is ABC’s “True Oldies Channel” from WVTK (92.1 Port Henry NY), replaced by an AC format aimed at Addison County, the area around Middlebury that’s lost most of its own signals to Burlington rimshot status. *Across the river in NEW HAMPSHIRE, Vinikoor got some bad news from the FCC about his construction permit for WQTH (720 Claremont). The WQTH CP officially expired unbuilt on June 13, 2007, but Vinikoor appealed, arguing that he lost valuable time while the Commission considered his application to move WQTH from its original city of license, Hanover, down to Claremont, and that New Hampshire’s bad winter weather should allow him more time to construct a complex AM array. The FCC rejected the appeal, saying Vinikoor made a business decision to relocate WQTH while the construction permit clock ran down – and that the evidence suggested that Vinikoor didn’t “diligently” pursue construction of the station. Over in Concord, WWHK (102.3) has been on and off the air for the last couple of weeks, spending some time with an automated classical format. We’re hearing that caused some consternation for Concord’s existing classical station, low-power WCNH-LP (94.7). *In MAINE, the Labor Day holiday brought some big changes in the Bangor radio landscape. Blueberry Broadcasting’s WABI (910 Bangor) and WWBX (97.1 Bangor) dropped their talk and top-40 formats, respectively, in favor of the Boston-based WEEI sports network. Mark down new calls “WAEI” for the 97.1 facility. And the two signals Blueberry couldn’t keep when it bought Clear Channel’s Bangor cluster are now simulcasting. WFZX (101.7 Searsport) has dropped its modern rock format and flipped to oldies in parallel to WGUY (102.1 Dexter). *In NEW JERSEY, the Labor Day weekend brought lots of vacationers to the shore – and two format changes, too. WILW (94.3 Avalon) picked up the Don Imus morning show, which is being dropped as WTAA (1490 Pleasantville) moves away from progressive talk and flips to a Spanish-language format. *CANADA‘s capital city is getting two new FM stations. The CRTC considered ten applications for new stations on 99.7, 101.7 and 101.9 and awarded new stations to Astral Media and Frank Torres. Astral owns CKQB (106.9 the Bear) in Ottawa, and will now add a 45 kW signal on 99.7 with a “comfort radio” soft AC format. Torres, meanwhile, will get 1.3 kW on 101.9 for a blues-formatted station to be known as “101.9 Dawg FM.” That grant came over the objections of one CRTC commissioner: Michel Mathieu complained that Ottawa’s existing talk-formatted stations, CTV’s CFRA (580) and the CBC’s CBO (91.5), enjoy a disproportionate share of the audience; Michel argued that the CRTC should have granted a license to Corus for a news-talk station instead. *We’ll start with MAINE and Guy Gannett for a second week – and this time it’s broadcast-related, as the company sells its television stations to Sinclair for $310 million in cash. *In the region, Sinclair gets CBS affiliate WGME-TV (Channel 13) Portland, ABC affiliate WGGB (Channel 40) Springfield MA, and ABC affiliate WOKR (Channel 13) Rochester — but because Sinclair already owns a TV station in Rochester, Fox affiliate WUHF-TV (Channel 31), it’s turning around and selling WOKR, and not to Sinclair’s partner company Glencairn Broadcasting, either. Instead, WOKR will be spun off to the Ackerley Broadcast Group of Seattle, which is building quite a cluster of ABC affiliates in upstate New York, including Syracuse’s WIXT (Channel 9), Binghamton’s WIVT (Channel 34), and an LMA with Utica’s WUTR (Channel 20). *Published reports in Portland say WGME’s staff is nervous about the sale, since Sinclair’s David Smith has a reputation for cost-cutting. At WOKR, the reaction is more that of relief, since Ackerley’s reputation in the region is a good one, and the alliance will give WOKR access to WIXT’s satellite truck and other toys. *Digital TV in the Pine Tree State: WPXT (Channel 51) and WPME (Channel 35) have applied for DTV construction permits, on channels 4 and 28, respectively. *In NEW YORK, the long-testing WYUL (94.7 Chateaugay) may finally be coming to life for real. It’s been heard testing with hits and liners saying “Cornwall, get ready to say Yes” — with the logical conclusion being that a simulcast of co-owned satellite CHR WYSX (98.7 Ogdensburg) is in the works. WYSX targets the cross-border Brockville market; WYUL now seems to be aiming a bit closer within Canada, at Cornwall instead of more distant Montreal. *While we’re up north, we’ll note that Ottawa’s CJBZ (1200) dumped the hits for sports on Tuesday, becoming “OSR 1200,” with new calls possibly on the way. We’ll also ‘fess up to getting our Canadian mega-groups mixed up. It’s Rogers, not Shaw, that’s buying CHEZ, CFMO, and CJET in Ottawa and Smiths Falls. *Rochester public radio WXXI (1370) has a new news director. He’s Flower City native Peter Iglinski, formerly with WSKG (89.3) Binghamton. 105.9 in Edison NJ? Are they nuts, thats right in WQXR’s listening area? It seems it’s not just WHJJ that changed its logo and slogan. Sister station WHYN-AM (560) in Springfield, Mass., has too – it’s known on air as “NewsRadio 560, WHYN” and has a similar logo on its website. Wonder if it’s a Clear Channel-wide thing. Pete Sheppard was a no-show following the 11:00 am newscast on WCAP-AM; there was even a promo for some kind of brokered-time show about finance or something Thursday at 11:00 am. Sheppard has pulled the announcement about his WCAP radio show from his Facebook and Twitter pages.